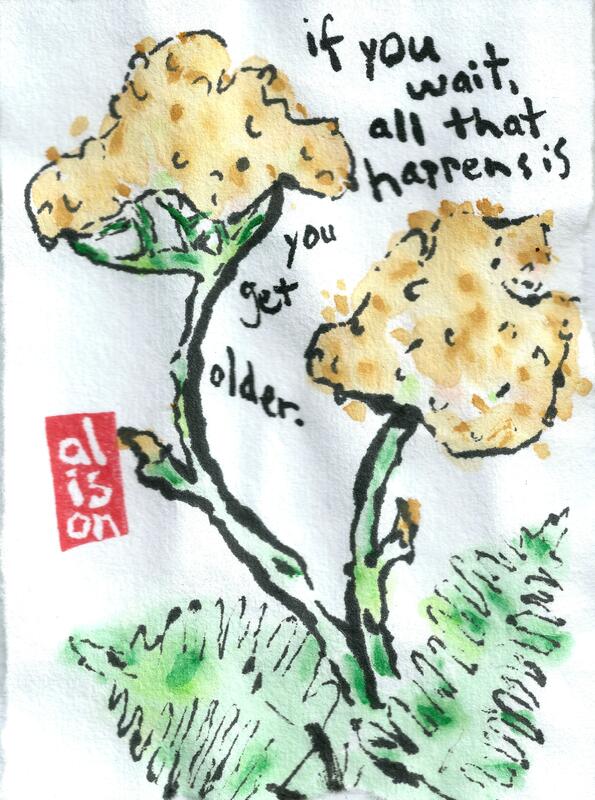 “If you wait, all that happens is you get older.” (Larry McMurtry). Okay, yes, I have used this quote before. I will likely use it again. It’s a good one for birthdays, but also for general encouragement. The flower is yarrow, which tends to bloom mid-late spring. I found the model for this growing in my neighborhood, LeDroit Park, Washington, DC.